Roger L. McNeill (USAF ret. 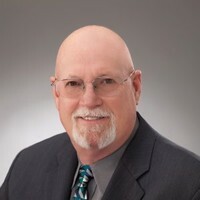 ), age 65, passed away suddenly on April 1, 2019 at Memorial Hermann Hospital in Houston, TX. Mr. McNeill is survived by his wife of 35 yrs. Linda, 4 children: Amy Barfield ( Randy), Shellie Ford (John), Taylor Hypolite (Carlton), and Eric Remedios. He also leaves behind 7 grandchildren: Garrett Busby, Ruby, Max and Alex Barfield, and Isaiah, Grace and Noah Hypolite. Roger served 23 yrs. with distinction in the USAF, including aiding in Operation Desert Storm. 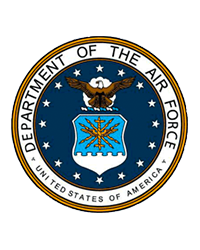 The discipline and patriotism he learned in the Air Force never left him, as a multitude of family and friends will attest to. The last 13 years he worked for Asset Campus Housing. He was a member of the Brotherhood of Masons for most of his adult life. Roger is predeceased by father Charles, mother Irene, brothers David and Chuck. He leaves behind 2 sisters Robin Smalley (Bart) of Grovetown, GA; Kathy Izlar (Mike), of North Augusta,SC; and brother Kevin (Kayrn) of Grovetown, GA; He is also survived by a many nephews and nieces, cousins and friends. Donations to the charity of your choice in lieu of flowers. No services will be held at Roger's request. "Remember me as I was"